Zone 8 on the U.S. Department of Agriculture Plant Hardiness Zone Map is defined as a wide swath of the middle South, including Gainesville, Florida; Mobile, Alabama and Houston, Texas. The zone reaches as far north as Tifton, Georgia and Dallas, Texas. This zone is considered tropical and many tropical plants will thrive in these areas, though winter temperatures can dip to 10 degrees Fahrenheit. Summers are hot and often humid, and this region experiences ample rainfall. When looking for tropicals for Zone 8, be sure to check for frost tolerance. The Camellia (Camellia) is a staple in southern landscapes for its glossy, green foliage and showy blooms, which resemble roses. 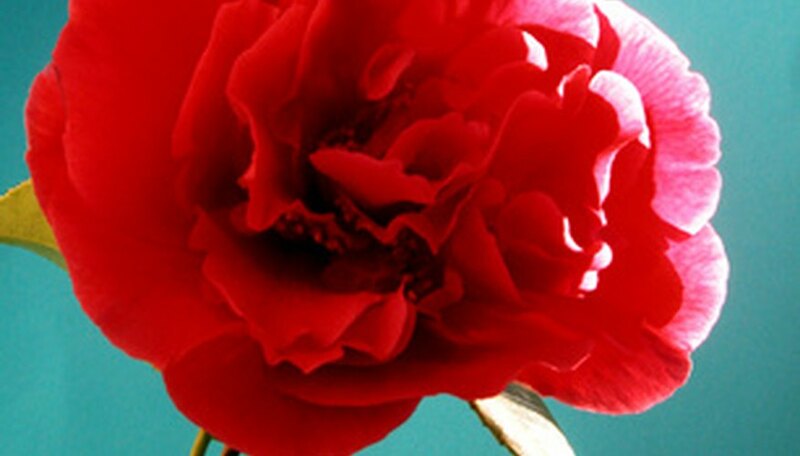 Available as evergreen shrubs or small trees, there are more than 3,000 named Camellias. These plants originated in eastern and southeastern Asia, but thrive in the mild winters and warm summers of USDA Zone 8. Camellias are best suited for dappled or partial shade, particularly in the southern part of Zone 8. They require regular to moderate water, and well-draining, neutral to slightly acidic soil. These plants, which should be protected in frost, work well in containers. Myrtle (Myrtus communis) is an evergreen shrub that can be kept trimmed as a hedge plant or allowed to grow to its full height, which could be up to 15 feet. Myrtles have glossy green leaves and produce a profusion of fragrant white flowers in summer. Myrtles also offer a little fall or winter color with edible dark-colored berries. In Zone 8, myrtles should be protected from hot summer sun and planted in partial shade. In winter, myrtles will die back from frost, but will renew in spring. Myrtles thrive with little water after establishment, and prefer neutral to slightly alkaline soil. Pineapple guava (Feijoa sellowiana) is originally from South America and is recognized as one of the hardiest sub-tropical fruits. An evergreen shrub or small tree, the pineapple guava can grow to 25 feet and works well as a hedge or screen. This plant produces a small fruit (2 to 4 inches long) that resembles a guava and has a creamy, mint-guava flavor. Best suited for the northern part of zone 8, pineapple guava thrives in climates with mild summers and will not survive the heat and humidity possible in the southern part of the zone. This plant is hardy to 10 degrees Fahrenheit. Pineapple guava prefers full sun and regular water and should be planted in neutral to slightly acidic soil.